March 17. 2011 | By Valerie C.
Frontman Andrew Heine, bassist Jason Wei, and drummer Ramon Esquivel make up the bands trio. “All at onceâ€¦ nobody move a muscle, it’s a sucker punch,” croons Heine on “All At Once,” a captivating jazzy number further enriched by the addition of backing vocals from Jenn Grinels. The addition of strings to “So Thank You,” a lament to a former lover is melancholy loveliness. “Dusty Trail” is trumpet-filled dirty-sweaty blues. 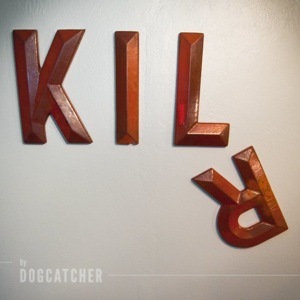 Dogcatcher claims that KILR is an album about two lovers’ journey and it sure is that, and so much more.